If your heart lies in seafood — prawn to be precise — The China Kitchen at the Hyatt Regency is the place to head for in the capital. Different versions of prawn and tofu — or bean curd — are on the brand new menu of this Chinese restaurant, situated at the pool level, that will make you want to keep coming back, expensive though it may be. The ambience of the restaurant, done up in wood, is welcoming and cosy. The tables are immaculately laid, and you get to eat in a bowl which rests on a stone — very visually appealing for a first-time visitor. Although the restaurant is known for its Peking duck, don’t miss the chunks of coagulated soy milk and the lip-smacking filling of prawn in de-seeded red chilli. 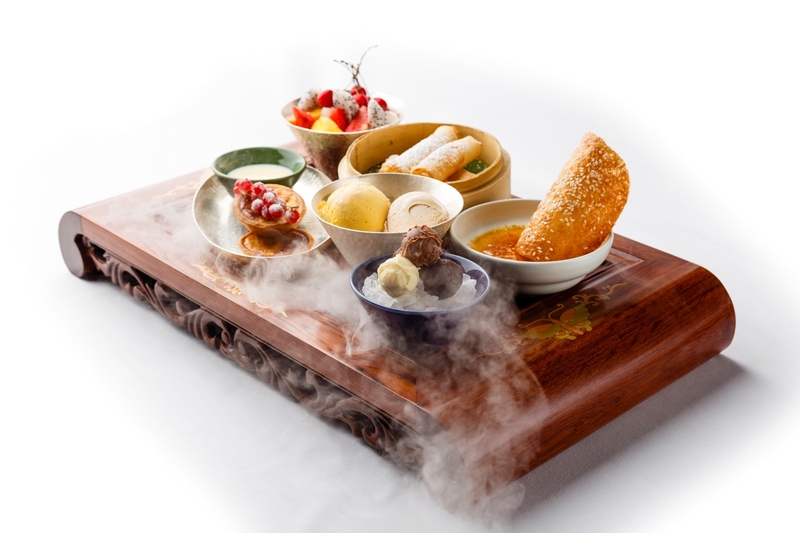 Prepared by Chef Zhang Hongsheng, the special menu included poached chicken, different dumplings, shrimp, pork, lamb, tofu, rice and Sichuan fried noodle. While the poached chicken in spicy sesame sauce, peanuts, crispy garlic and coriander set the tone for the meal, the twice-cooked crispy lamb shanks with garlic, cumin, coriander and chili was delectable. “Peking duck, which has been famous since the imperial era in China, is our signature dish. It is done to perfection here and is the most sought-after by our Chinese patrons. Our Indian patrons favour vegetable dimsums with a variety of stuffings like celery and mushroom,” he added. For me, the dimsums with fresh peas, sweet corn, mushrooms and celery wasn’t exactly exceptional. What should definitely be tried is the crispy-spicy prawn in Sichaun black bean sauce, spring onion and crispy garlic; the stir-fried asparagus with porchini mushroom; and last, but not least, the traditional “Mapo” tofu in chilli, chives, garlic and Sichuan peppercorn that can make even a tofu hater its biggest fan. 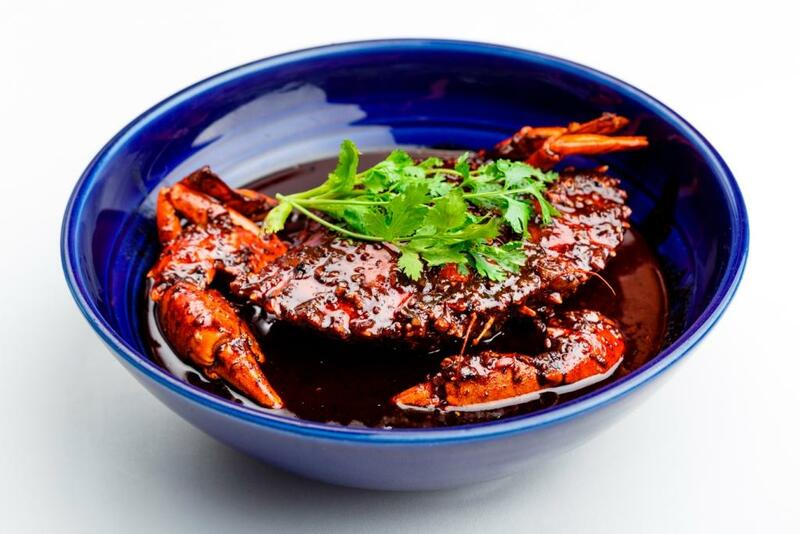 Some of the other dishes on the new menu are chilli jumbo crabs served with freshly baked baguette and, of course, the legendary Peking Duck. 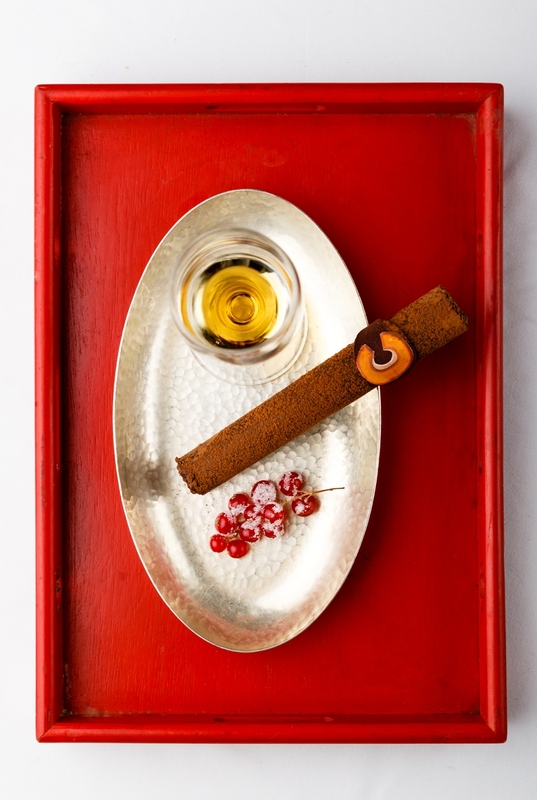 There have been additions to the dessert list as well, like the Cognac chocolate cigar, with a strong taste of orange. Then there is the jasmine-flavoured ice cream, which was interesting; and Chinese egg tarts. A restaurant that I would recommend to lovers of Chinese cuisine, especially as the tastes are authentic. But some Indians may be put off by the presentation — prawns served with eyes and legs intact may perhaps not go down well with the locals.